Who is NetEnt - Information about what NetEnt means with Better Games! 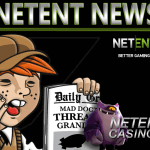 Netent Casinos » Who is NetEnt? 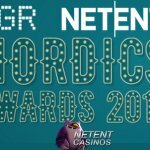 Founded in 1996 by one of Scandinavia’s leading off-line casino operators, NetEnt is one of the pioneers in online gambling. Originally from Sweden, NetEnt is active in a major part of Europe with two offices, one still in Sweden, while their second office is based in Malta, well-known for the many online gambling companies centralised on this small and sunny island in the middle of the Mediterranean Sea. The company has over 200 people employees, whose primary concern is the development and production of innovative games in line with NetEnt’s vision “Driving the Online Casino Market through Better Games”. 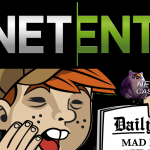 However NetEnt, formally known as Net Entertainment, is the original company name of the Swedish software developer, NetEnt is the name the industry and its players are familiar with. With that NetEnt became NetEnt Casinos and the games of the developer are called NetEnt games. But what is the reason why there is an entire website dedicated to just one software developer and its clients? The answer is easy as the NetEnt games are used by some of the world’s most successful and prominent online gaming operators and a Netent Casino offers a complete gaming solution which includes a wide range of high quality games, based on the latest technology, just what players are looking for. 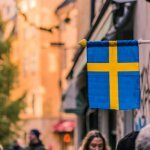 The success of the Swedish software supplier is partly due to their many years of experience as one of Scandinavia’s leading off-line casino operators. This experience can be found in the many dozens casino games developed by the pioneer. But with a wide range of casino games success can’t be guaranteed if the online casinos refuse to offer them to their players. This can’t be said of the NetEnt games as dozens of online casinos have been added to the large network of NetEnt Casinos. Since there are too many of them, we’ve made a selection of high quality online casino, offering the entire range of NetEnt games, of which all can be found on NetentCasinos.com. The network of NetEnt Casinos is growing increasingly just as the NetEnt mobile casinos and NetEnt live casinos. With such a network you are allowed to have high expectations of the NetEnt games known for their high quality as NetEnt’s only mission is to create value through providing leading-edge online casino solutions enabling the ultimate entertainment experience. No wonder NetEnt has no problem to meet the player’s expectation. Since the company was founded in 1996, NetEnt developed dozens of casino games including familiar table games like Roulette and Blackjack, as well as classic slots, video slots and video pokers. As time passed the casino games bingo, keno and virtual horse races where included, followed by the mini games and scratch cards. The games from NetEnt are not just games as they are produced by a team of highly dedicated and motivated individuals, spanning a wide range of talents with one thing in common, passion for gaming. The answer to this question is simple as NetEnt is unique in the market. Unlike the competition NetEnt does not have any casino operation of its own, nor any interests in such operations. This means that there are no conflicts of interest between NetEnt and its customers. This leaves space to develop and to deliver 100% quality games to their many clients. The NetEnt games prove to be successful and more and more operators want to make advantage of this success. No wonder with famous names as Frankenstein, Scarface and Creature from the Black Lagoon who could not be developed without an exclusive partnership with Universal Studios. The same is the case with the South Park video slot developed due to another exclusive and successful partnership, this time with the South Park Studios. With almost two decennia of experience the NetEnt games know a rich history. Started with just a few classic games like Roulette, Blackjack and some video slots, the range of casino games expended rapidly allowing most NetEnt Casinos to offer you more than 100 NetEnt games. On top of NetEnt’s exclusive selection of high-quality video slots, which usually feature a variety of extras and bonus games, the Swedish software supplier also offers all the traditional table games, such as Blackjack and Baccarat, just as Roulette can’t be ignored. However, it hasn’t just concentrated on the old favourites, as its portfolio also includes a number of fixed-odds scratch cards, lottery games, video pokers as well as bingo, keno and mini games. 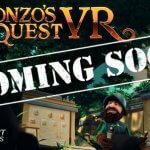 Another contributing factor to the success of the NetEnt games are the rich graphics, intriguing bonus games, entertaining 3D animations and innovative features and functions responsible for the high entertainment value you’re looking for. Besides that the NetEnt games are famous for their high pay-outs, an absolute advantage for you as a player. The developments in the iGaming industry are going very fast and although it seems impossible to keep up with them, the pioneer in the industry does manage as no other to stay ahead of the competition. Not only because of the innovative casino games, but also the Touch® games. With the rise of mobile devices such as tablets and smartphones, more and more players know how to find the mobile casinos. NetEnt would not be one of the pioneers if it didn’t try to come up with a product that cannot be ignored by any mobile player. I can tell you NetEnt did a fantastic job with the NetEnt Touch® games giving you the opportunity to enjoy all NetEnt games on your mobile with the same quality and speed, without losing any of the rich graphics or features. The development of the mobile games resulted in a new brand known as NetEnt Touch®, the future at its best. As live dealers become more popular, live casino games become more common and as NetEnt always follows the last trends, the live dealers became the next challenge the software supplier from Sweden accepted. 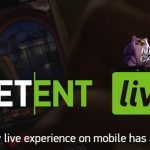 I’m the last one who doesn’t believe that NetEnt will manage to become one of the biggest in live gaming too and many players will find their way to the Live Roulette and Live Blackjack. While looking for the perfect online casino that fits your expectations, I would recommend to pay attention on the progressive NetEnt jackpots too as they are known as the biggest In the industry. These progressive jackpots are attached to the table games, scratch cards, classic slots and video slots of which the jackpots in this last category are divided in two different variants. The smaller jackpots can be recognised as the local jackpots, attached to one NetEnt Casino, while the million jackpots are known as the network jackpots. Hall of Gods™, Arabian Nights™ and of course Mega Fortune™ are network jackpots and it’s the last video slot that got recognised by the Guinness Book of World Records after a Norwegian player won a €11.7 million Mega Fortune™ Jackpot at a NetEnt Casino in 2011. This record was beaten in the beginning of 2013, after a Finnish player won the same jackpot, until today the biggest jackpot ever won in an online casino, and with that a win of €17.8 million.